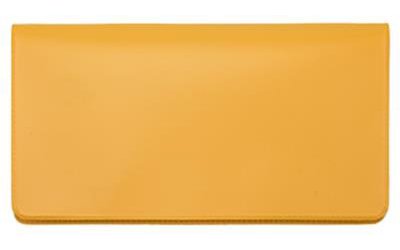 This sunburst orange green vinyl checkbook cover features a durable, classic and compact design. A perfect cost effective way to protect your checkbook. There is a built-in plastic divider inside meant for duplicate checks. It also includes a slot to accommodate a check register. 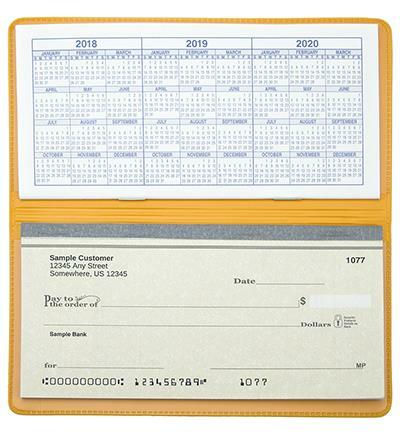 This vinyl checkbook cover is designed to fit standard sized top-tear checks, and is available in several colors.